I've found that there are three types of technical books that appeal to me: those that tell great stories or analogies, those that make great use of visuals, and those that present clear and relevant examples. This book doesn't have much in the way of stories or pictures, but it makes up for that with examples in spades. Each example is well thought out, easy to understand, and focused on the topic at hand. Beyond that, they are actually nontrivial and are potentially useful in your own programs. The examples are really the gravy, though. The meat of the book is the explanations of the language features. Every page is filled with deep, sharp analysis of how to use the language, how the features are implemented, and how to get the best performance out of it. The other 80% of the book was about jQuery, and David McFarland did a more than adequate job of covering that. The chapters were full of examples that were presented in a tutorial format so that you could type the code into a text editor, see the working examples, and experiment on your own. 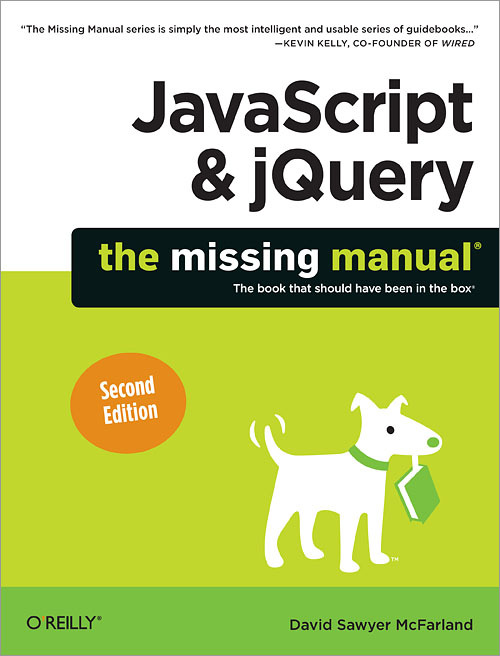 I liked that aspect of the book, so as a manual for jQuery, it hit the mark. I first learned to program way back in seventh or eight grade with the Logo programming language. I found it fascinating to be able to move the turtle, a little triangle, around on the screen and make simple drawings with only a basic set of text commands typed into a console. I could tell that this experience of programming was fundamentally different than any other programs I had used on a computer, from games to graphics editing to word processing. To my young mind, the possibilities seemed endless and a little overwhelming, but I was inextricably drawn to that most basic of interactions with the computer. Figuring out how to make that turtle do what I wanted it to and build up a functioning program from basic elements appealed to my problem-solving nature. I was hooked. Now this picture is in need of a little explanation. I'm not claiming here that Pascal is a proper super-set of Logo, only that I relearned in Pascal all of the programming constructs that I had learned in Logo, plus some additional ones like variable types, arrays, and recursion. That is not to say that those constructs don't exist in Logo. I honestly don't know, because I wasn't exposed to those concepts until I learned Pascal. So this is a picture of what I learned in these languages and how I should have organized that knowledge, but didn't. As for the black background, that shows what I don't even know I don't know at this point. Even from this severely restricted view of programming, I was enthralled with the possibilities that programming presented. I was solving math puzzles, experimenting with the limits of the computer's memory and processor, and creating games to play around with. Basically, I was having a great time messing around with computers and seeing what they could do, and my flashlight was getting stronger. I could see more of this language playhouse and interact with it in new and interesting ways. I still didn't have any real concept of how large the programming world was, but my view of that world was about to get a lot bigger. Macros and Templates and Pointers, Oh My! During my senior year of high school, I took a course on object-oriented programming in C++. In order to get to C++, the course went through C programming first. Both languages were mind-bending compared to Pascal. Learning C introduced pointers and dynamic memory allocation, both of which I struggled through but didn't fully understand until much later. It also introduced macros, a powerful feature for extending the language that can easily be abused if you're not careful. C++ not only added object-oriented programming, an entirely new paradigm compared to the structural programming I had been doing before, but it also threw in operator-overloading, function overloading, and template meta-programming. The shift to object-oriented programming was a game-changer. It helps you think about program organization in an entirely new way that permanently affects how you do software design, even during the times when you fall back to structural programming. That is one of the great advantages of learning new programming languages. Every language is different in some way, either by having different features or implementing features differently than other languages, and learning those differences expands your mind and makes you a better programmer. So in senior year of high school, I was pretty comfortable with the basic programming constructs of variables, conditionals, and control structures after being exposed to them multiple times in different languages, but the newer constructs of object-oriented programming and dynamic memory were much more muddled in my mind. That's okay because college would introduce another language to help me in this exploration of the world of programming - Java. As I entered the Electrical and Computer Engineering program at UW-Madison, Java was on its meteoric rise as The Next Programming Language so naturally, most of the computer science courses I took used it. Learning Java was easy, and since it was a completely object-oriented language, I couldn't help but solidify my understanding of that concept. As for dynamic memory, Java used garbage collection to manage dynamically allocated objects for you, whereas in C/C++ you have to keep track of all of that memory yourself. When comparing dynamic memory management between these languages, C is the worst because you have to manage the raw memory all by yourself. C++ is better since you just have to keep track of the objects, and the runtime remembers the size of those objects for you. But Java's garbage collector keeps track of everything for you. There are some edge cases that you need to be careful of, but for the most part you can create new objects and let the garbage collector delete them when they're not being used anymore. Thinking about that difference in memory models between C, C++, and Java was what finally made dynamic memory fall into place for me. Notice the contrast between these two concepts. On the one hand, object-oriented programming is fairly similar between C++ and Java. On the other hand, the memory models are drastically different between C, C++, and Java. In both cases, knowing more than one language was instrumental in my understanding of these complex concepts. One curious thing I've noticed through this whole learning process is that at every step of the way, I was totally oblivious to the fact that there were other programming languages out there that had dramatically different features and concepts than the ones I already knew. Each new language was a surprise and an unexpected learning experience. That wasn't going to change for quite a long time, and it's fascinating looking back and seeing how naive I was, especially in light of all of the languages and concepts I learned between this picture of the world of programming and my realization that the black void was actually filled with an incredibly diverse ecosystem of languages. Before I was aware of that language diversity, I learned a few very important things about the workings of microprocessors and languages that deepened my understanding of programming. The first was assembly language, the language on which all other programming languages are based. Assembly is actually a family of languages, with each one being unique to a particular microprocessor architecture. The assembly code can be translated directly into the machine code that runs on that particular microprocessor, and compared to most programming languages, it is obscure. All higher level language constructs are built up from these low-level instructions, like the way the same Lego blocks can be assembled into a multitude of different space vehicles. Knowing how language constructs are built up from basic instructions greatly increases your understanding of how they work, what their best uses are, and what their performance impact is. Even more so, learning assembly teaches you about pointers because they are fundamental to assembly coding. You can't do anything effectively in assembly until you understand pointers backwards and forwards. I thought I had them pretty much figured out before learning assembly, but I was dead wrong. After going through the mental machinations of assembly coding with near constant pointer arithmetic puzzles to solve, pointers in C/C++ made a whole lot more sense, and my programming reached a new level. Most programmers don't code in assembly these days, though. How do we get from C or Java to assembly? Why, compilers and interpreters, of course. Knowing how to write high-level language constructs in assembly code by hand is one thing; knowing how to parse a high-level language and generate the assembly code automatically is even better. The course I took on compilers opened my eyes to the real inner workings of high-level languages in a way that learning more languages never could. It gave me an incredible appreciation for how much work high-level languages do for you, and how micro-optimizing your code can not only be useless, but detrimental to performance. The compiler is performing all kinds of optimizations that you can't possibly keep in your head as you write code, so the best thing you can do is make your code as human understandable as possible. Then let go and let the compiler do its job. On the other side of assembly language lives the actual hardware, but the hardware was most likely designed using a language as well - a hardware description language. The two most common HDLs are VHDL and Verilog, and I learned the latter while taking multiple courses in computer architecture during college. Understanding both Verilog and computer architecture also deepened my understanding of programming. Like compilers, the hardware in modern superscalar out-of-order processors is doing all kinds of optimizations on the code it's running. So even if you turn off all optimizations in the compiler, the hardware optimizations are still going to change the way your code runs. Micro-optimizing your code really is a fool's errand. As for programming in Verilog, it is unlike any other programming language I know of because everything happens at once. Every line of code, every assignment, every operation gets evaluated every clock cycle, and for statements not controlled by a clock, they are evaluated every time their inputs change. Now that's parallel programming. Understanding how that all works, and how to manage that kind of complexity, definitely improves your programming skills in other languages. This book is another reason it was beneficial to wait to learn HTML and CSS, not that I should have waited. I have never experienced a technical book like this before. Jon Duckett did an incredibly masterful job presenting these languages in a way that the reader can absorb quickly and easily. It's a full-color layout with beautifully structured pages that detail all of the important HTML tags and CSS attributes, giving clear examples of each tag or attribute throughout the chapter and then a longer, fully working example at the end of each chapter. After seeing a book done like this, it now seems painfully obvious that this is the way a book on HTML and CSS should be done. Why wouldn't a book on the languages of the web be in full color with an engaging layout and clear, no-nonsense coverage of the topics? Why wouldn't it be visual? The only way it could have been better is if it was interactive, essentially an impossibility for a printed book. It was an absolute pleasure to read, and it was as if the content was being absorbed directly into my brain through my eyeballs. I ended up finishing the whole book in a matter of hours. 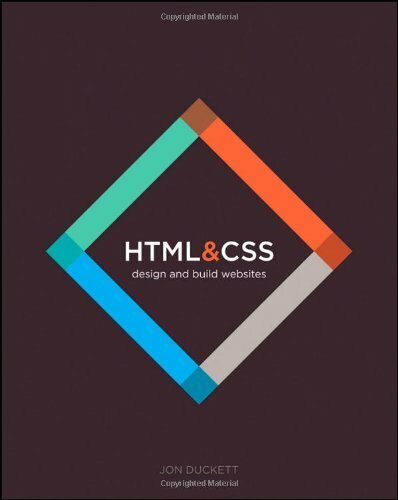 When I was finished, I couldn't believe I had waited this long to learn HTML and CSS. These languages were so straightforward, and this book made them ridiculously easy to learn. Of course, because the book is full of such visually rich content, it's really impossible to give it justice with words. Here are a couple pictures to give you an idea of how well done it is. Mentally compare them with every other technical book you've read. The content is so well presented and engaging that the reader can't help but quickly absorb everything. Really, this is the way it should be done! Go out and get your own. Highly recommended. I actually had read this book before HTML & CSS: Design and Build Websites, which could be good or bad, depending on how you look at it. It was good for this post because I can do an actual face-off between two HTML books. It wasn't so good for my leisure time because I wasted some of it reading a book I never would have finished, had I read the other one first. I went on a bit of a rant last week about a comment that was made in this book about recursion. 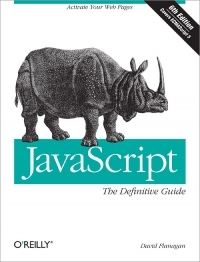 That was definitely not the defining weakness of this book, only a minor infraction as this book is not about programming techniques. However, it is a fairly characteristic example of the larger issues I have with this book. Matthew MacDonald does start out rather well. 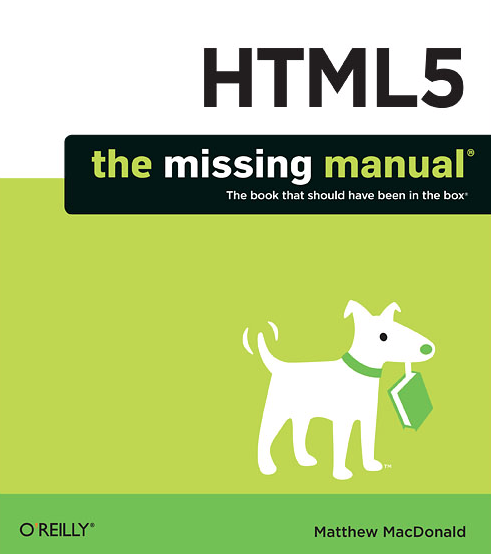 His initial narrative about HTML5 is quite interesting, and it kept me engaged for a couple chapters. He is a decent writer. After the first couple chapters, though, I started to wonder who this book was really written for. He specifically made the point of telling the reader that he expected you to already know HTML and CSS prior to HTML5 so he would only be covering the new features. Okay, fine, I could deal with that, but by chapter 4 he had pretty much covered the new tags in HTML5 so he moved on to validating web forms and embedding audio and video in websites. One last problem with this book is how quickly it will be hopelessly out-of-date, if it isn't already. The various browser manufacturers are implementing HTML5 features as fast as they can, and most features are already done in Firefox, Chrome, and Opera. Most of the book's content was about how to handle features that were not yet available in one or more browsers, but that time is quickly coming to an end. That will leave a lot of content largely irrelevant. Basically this is a book that no one needs. If you noticed, I didn't include Internet Explorer in the list of browsers that implement most of HTML5's new features. That wasn't an oversight. If you're using Internet Explorer 10 on Windows 8, you're in better shape, but that's not a lot of users. One thing these two books both make quite clear is that Internet Explorer is different than other browsers, and not in a good way. Microsoft does so many thing differently with the way Internet Explorer handles HTML and CSS that if it wasn't included with Windows, it's obvious that no one would use it. If the chronic incompatibilities are not intentional, then they're at least embarrassing. Though I suspect the former. Beyond the slow and distorted feature adoption, Internet Explorer is also living in the dark ages of browser revisions. Firefox and Chrome long ago moved to the continuous model of browser updates, so every time you restart your browser, it could be updated to the newest released version (not sure about Opera, since I don't use it). This is great for both users and developers. Users don't have to think about updating their software anymore, and developers can assume that users are always on the latest version. Especially for a piece of software that needs to be connected to the internet to work, that makes a whole lot of sense. With Internet Explorer's antiquated update model, it could take more than a year for users to transition to a new version, longer with IE 10 because it needs Windows 8. That's an eternity on the web! This technique is useful for complex computational tasks that require recursion, like calculating the Fibonacci sequence. There are two things wrong with this statement. Do you see them? If you already know recursion, then you probably do. If not, let's take a little crash course in recursion to get you up to speed, first. Recursion is actually quite a simple concept. It is merely a function that calls itself. That's it. If you don't want infinite recursion, you need some way to stop the function from calling itself every time it runs. To do that, you would pass a slightly different value as a parameter to the function each time it was called, and when that parameter reaches a certain value, the function stops calling itself. By way of example, let's implement addition using recursion. You would never do this in a real program because it's ridiculously inefficient, but it works as an easy example since everyone knows how addition works. Let's start with a function that takes two parameters 'a' and 'b', defined as Add(a,b). This function should return a result equal to a+b, but we're going to do it by calling the Add function again within itself. All we did was implement addition by counting up from 'a' the number of times specified by 'b'. The same principle could be used to implement multiplication with addition or exponents with multiplication. Now that we all know what recursion is, we can look at why that quote is so wrong. What Computational Tasks Require Recursion? It seems to be a common misconception in the software industry that there are certain complex problems that need to be solved with recursion. This is simply not true! Any problem that can be solved with recursion can be solved with iteration instead, and usually with better performance. Iteration is another programming concept where a task is repeatedly done in a loop. For any programming problem, recursion and iteration are interchangeable. Now there are certain problems that are solved more easily or elegantly with recursion. Sorting is one example of such a problem. Conceptually, sorting a list of numbers using recursion is quite straightforward. First you split the list of numbers in half and sort each half of the list. You keep splitting the lists until you get to the point where each list is only one number. Then you merge each pair of lists by selecting whichever number is smaller at the beginning of the two lists and moving it to the merged list until both original lists are empty. Once you have merged all of the split lists, you have a sorted list. This algorithm is fittingly called mergesort. Another type of problem that can easily be solved using recursion is any kind of graph traversal. A graph is made up of nodes and links connecting those nodes. To search a graph for something, you start at a node in the graph. Often times there is a root node where you start, and then the graph is called a tree. If the node you're at contains what you're looking for, then you're done. Otherwise, follow each link from your current node and search that sub-graph. Pretty simple, right? If the graph can have cycles, then things get more complicated, but the basic idea is really easy to understand. Both sorting and graph searching can be solved using iteration, but the algorithms are much uglier and harder to understand. Iteration does provide one benefit, though - performance. An iterative version of an algorithm is almost always faster than a recursive version because the recursive function calls incur some time and memory overhead, unless you can get the recursive version into a form that uses tail-recursion and the language supports tail-call optimization. If that's not an option, and the problem size is too large, you could quickly run out of memory and crash your program. I'm not saying you should never use recursion. There are, in fact, many real situations where recursion is clearly better than iteration. The point is that you definitely need to understand the trade-offs when using it, and there is no problem that absolutely requires recursion. Is Recursion Suitable For The Fibonacci Sequence? This technique is useful for complex computational tasks that lend themselves to recursion, like calculating the Fibonacci sequence. This iterative form is almost as easy to understand, it takes a constant amount of memory, and it's way faster than the recursive form. I would never calculate a Fibonacci sequence using recursion when iteration is so much better. This technique is useful for complex computational tasks that lend themselves to recursion, like sorting or searching massive data sets. I'm not sure that any of these large companies use recursion in their algorithms, although it's pretty likely. Even though it is true that recursion runs into memory problems as the problem size grows, and iteration is generally faster when running on a single processor, everything changes when the problem size gets so large that you need to split it up and run the program on multiple processors. You see, most recursive sorting and searching algorithms use a divide-and-conquer approach. They automatically divide up the data set while processing it. That makes it quite easy to spin off chunks of data to be crunched on separate processors while keeping the basic algorithm simple. It isn't that difficult to come up with much more compelling examples of why to use recursion. Using the Fibonacci sequence is lazy and misguided. It doesn't make sense to use recursion for it, and you're rarely going to need to calculate the Fibonacci sequence anyway. But everyone who uses software is exposed to sorting and searching, so those are the prime examples that need to be used when talking about recursion. Maybe recursion would be more widely understood if those who talked about it used real-world examples that mattered.